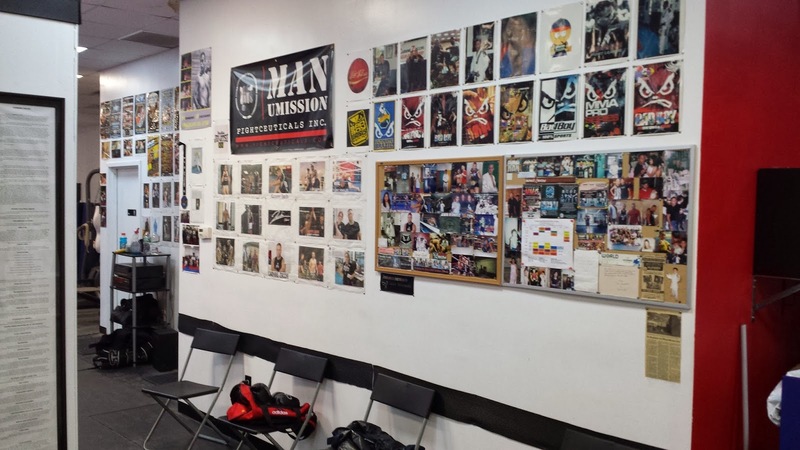 Adorning the walls are all manner of clippings, photos and even programs from old fight shows. So many feature Carmine himself, who for the longest time was a constant competitor. 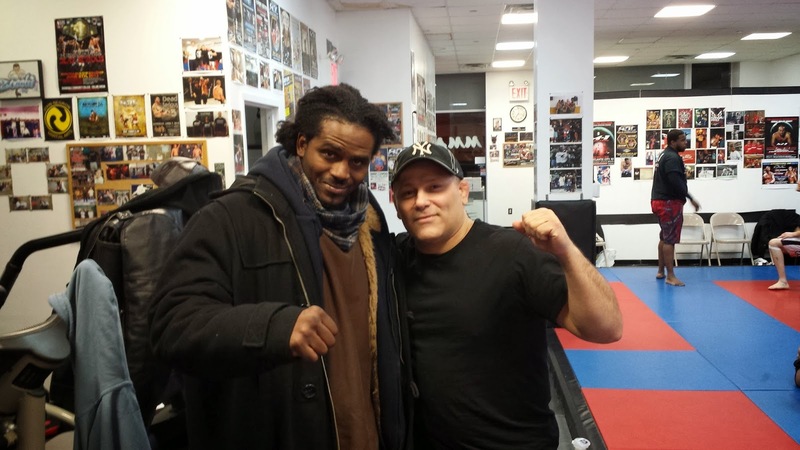 We talk of Carmine's time fighting, which he did quite a bit of - at the old BAMA Fight Night shows in New Jersey, at Ring of Combat, at underground shindigs in the Five Boroughs. He tells explains to me the impetus behind his getting into the ring. "I got into fighting because all my guys in my gym were fighting. They were all doing jiu-jitsu and grappling competitions, and Shootfighting and MMA underground fighting, and I felt like I was left out. I was like, 'Man, I want to be part of this.' And I did it. I thought I was tough and I did it." Some time after 9/11, Marcelo Mello was in Brazil, unable to get back into the States. 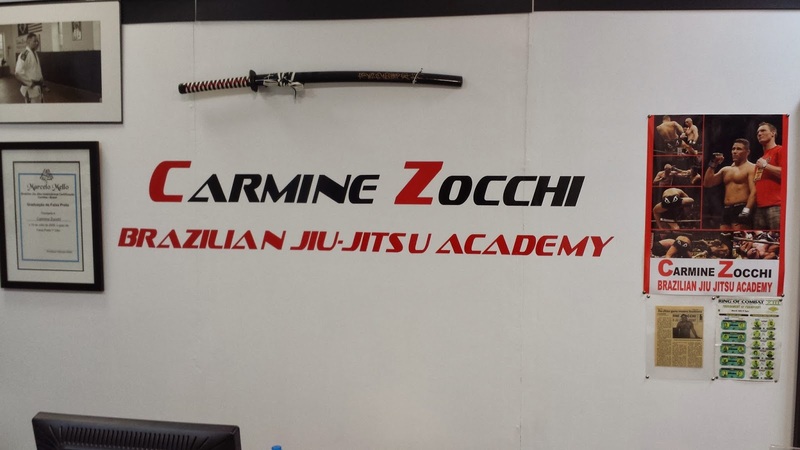 That was a definite speed bump in Carmine's jiu-jitsu journey, but it had an upside. "What happened with Marcelo is he tried to get his visa by getting married, and I guess they caught him and they told him he had to leave. And Marcelo could have fought it, he was here for a long time, but I guess at that time he was like, 'I'm not going to fight it.' He went back [to Brazil], and before he went back he was like, 'I need someone who's going to run my academy and be my soldier here.' I was surprised that he told me I was going to be the guy." In the time between his time at Combined Martial Arts to when he got his own academy, Carmine was the proverbial Johnny Appleseed of jiu-jitsu, going from martial arts school to martial arts school, planting seeds of grappling knowledge that would touch many. It was not uncommon to find him at a karate school one night, showing them hip escapes, and at a kung fu school another, showing them how to maintain mount. What differences does Carmine see in the local jiu-jitsu scene between those earlier days and now? "Back then you really needed to take maybe ten years to get a black belt, and today you don't need to do that. You have the answers right online. You want to know how to pass Rubber Guard? Go right online and learn. There's instructional tapes right now, and there's YouTube and there's hundreds of different schools and very good instructors. You've got to remember that when I was training, there was one instructor. Either you went to Renzo or you went to Marcelo [Mello] - there wasn't really that many guys around." We talk of his family, of his son and daughter and the difficulties he's always faced as a single dad juggling all the myriad responsibilities that come with family and teaching. We also talk of legacy. And then, as if to complete some sort of cosmic circle, we're joined by Kaream Ellington, who still occasionally trains with him. And that's it, and we're shaking hands and saying our adieus. You can't go to a Ring of Combat event without seeing Carmine in someone's corner, shouting instructions. I know I'll run into him sooner or later. Given how many he's taught and still teaches, it will likely be sooner.